I don’t usually read many political books. This is mainly because I don’t know much about the whole business, thus every smooth-talking politician could easily win me over to their side. That being said, I recently finished reading Be the People. I can honestly say that this is the sort of book people need to be reading right now. Written by Carol M. Swain, a professor of political science at Vanderbilt University, Be the People really hits home. The first portion of the book is called Broken Vows, and identifies in freeze-frame general areas where America has changed since its founding. Swain covers the changing of the ethnic makeup of the United States, and the dangers of a non-limited government which will eventually, she claims, seize total control. Next, she examines our religious roots and how we have drifted from them. As a corollary, she devotes around 40 pages to the discussion of abortion; using this as an example to prove her previous point. The second portion of the book is substantially longer, and is titled ‘Reclaiming Truth and Justice in Policy Changes.’ Here, Swain’s knowledge of the workings of US government become more evident, as she takes specific issues such as homosexuality, the family, immigration, and religion and offers her interpretation of the solutions to these problems. If anything, this part of the book is most helpful because Swain explains in minute detail each of the issues before jumping into her solution. Simply reading this gave me a better understanding of current problems and challenges facing our government. 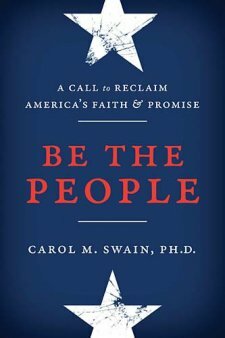 Carol Swain, I believe, is a born-again Christian, for it is clearly evident in the way this book is written. Quotations from the Bible surpass all other quotes put together. She clearly draws from the Bible and her Christian faith to draw her conclusions about the problems facing our government. In a world where political correctness is valued above our own individual convictions, hearing her plain beliefs laid out in a way anyone can understand is refreshing. I found it especially good to know that Swain, though African-American, still disagrees with Obama’s stance on many things and is not afraid to question his decisions. She is willing to talk plainly, and does so in this book. I found this book an excellent read, and recommend it with no reservations. This is the sort of thing we American people need to be reading, so that We the People can Be the People. 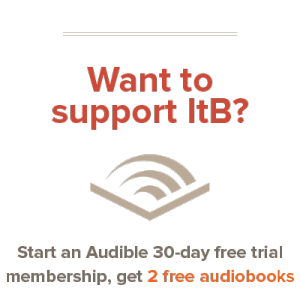 This book provided by BookSneeze for free. I wasn’t required to give a positive review of this book. Great review! I’d never heard of this book before, but it certainly sounds like a worthwhile read. It is indeed an excellent read, Corey – I highly recommend it. Hmmm… I may just read this. Since our recent travels, I have rekindled a passion for this kind of thing.